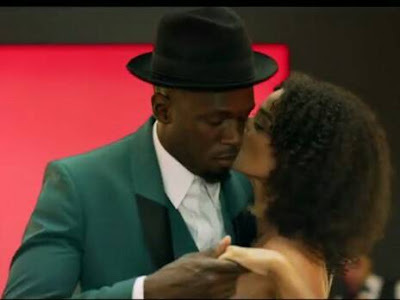 Two of our favorite Jamaicans, Yendi Phillips and Usain Bolt, teamed up to star in ad for, French Champagne Giant, GH Mumm Champagne. The Olympic superstar and former Miss Jamaica Universe shared the ad on their respective Instagram accounts to accolades and words or pride from Jamaicans all over the world. With the title "Celebrate Your Next Victory," Yendi sizzles in a gold dress reminiscent of the Roaring Twenties and Usain looks sharp in a green suit. The gold, black and green colors throughout the ad pay homage to their Jamaican heritage. True to its title, the ad opens with a celebration. We see a band, dancing, and of course champagne. Later, Usain transitions from the party to the track field, and we see him preparing to run - well to win. The ad closes with the message "don't win to celebrate, celebrate to win." Just last year, GH Champagne named Usain Bolt as its Chief Entertainment Officer to feature in a multi-million dollar promotional campaign. We are beginning to see the campaign's unveiling , and so far I love what I see. I especially love that Usain chose another Jamaican to star alongside him for the first ad. See the ad below! Oh this is such a cool ad! Love the creativity behind it! Thats an awesome ad! I love the art deco vibe! Such a cool ad! Love the 20s feel! I love this ad-they definitely chose two beautiful people for it! Such a cool ad! I love the old school look to it! Love how creative this ad is! This is so cool! I love Usain! Such a luxurious and beautifully made ad! They killed it! I hadn't seen this ad before, but the wardrobe is incredible!